FREE cancellationNo DepositSpoil your loved one! 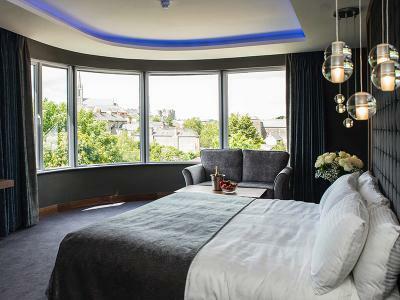 When looking for a luxury 4 star hotel in Ireland, nothing can match the experience of a stay in one of our suites at the Riverside Park Hotel. All our Couples Deluxes rooms & Suites are individually designed to the highest of standard & are located on their own private adult-only floor to ensure a haven of tranquility, away from the hustle and bustle of it all. **All Dinner packages are served in our Moorings Restaurant, if the moorings restaurant is closed dinner will be served in our Alamo Restaurant. Penthouse Passion! Champagne, Chocolates & Breakfast in Bed! FREE cancellationNo DepositIndulge your romantic side! 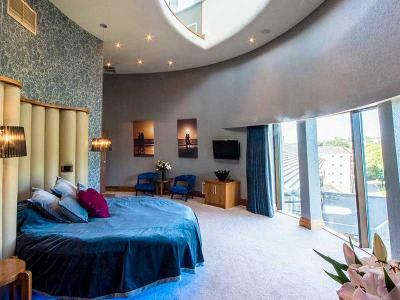 •	Overnight accommodation in a luxurious two level suite located in the impressive stone tower of the hotel. Explore the treasures and attractions of the South East. 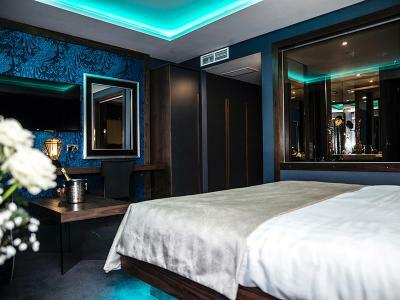 Leave the world behind you as you enjoy a cosy nightcap in The Prom Bar, take a refreshing swim or soak in the jacuzzi. A truly romantic break from start to finish... Book Now!